NEW trailer for Tokyo Ghoul:re reveals opening theme by Cö shu Nie!! Lara Croft is off on another global trekking adventure! Square Enix just announced that the third game in the rebooted tomb Raider franchise, “Shadow of the Tomb Raider”, is expected to be released September 14 for the PlayStation 4, Xbox One, and PC. Not much is known about the game other than an what appears to be an Aztec pyramid in the background with Lara standing in the foreground. Square Enix promises to reveal more next month on April 27. 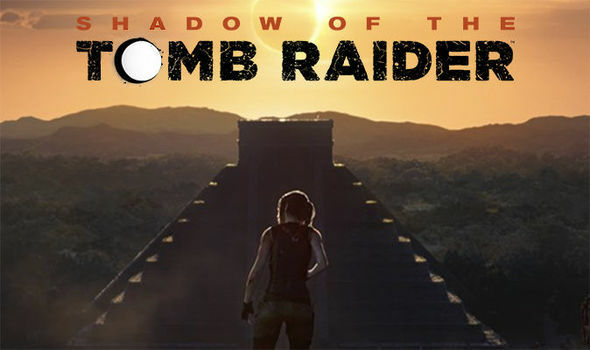 As far as the plot goes, Lara will most likely still be contending with the shadowy organization Trinity who continue to hunt for ancient artifacts to attain incredible power. Given the Aztec temple in the teaser pics, the setting could take place in Mexico and Central America. E3 2018 is just around the corner so more will be revealed then. Crystal Dynamics, who developed the first two titles “Tomb Raider” and “Rise of the Tomb Raider”, will not be apart of the third game. Instead, Edios Montreal, who worked on the “Dues Ex” titles, will be behind Lara Croft’s next big adventure. As mentioned, Shadow of the Tomb Raider will bee released across PlayStation 4, PC and Xbox One, unlike its predecessor “Rise of the Tomb Raider” which was released in 2015 exclusively for the Xbox One before PS4 and PC got their releases several months afterward. The official Tomb Raider website has a countdown posted for the game’s release.